Now that you’ve found the perfect partner, you need the perfect wedding destination. Tres Palmas offer everything you need for a small private wedding in a tropical paradise. Tres Palmas provides the perfect location with sandy beaches, fragrant flowers and beautiful skies that provide the ultimate romantic backdrop and quintessential “dream wedding” locale. Your perfect honeymoon starts right after your wedding and reception in our luxurious accommodations with private chef and secluded location are the perfect way to embark on your new lives together. With its secluded waterfront location, Tres Palmas is an unforgettable setting for a wedding, honeymoon or romantic escape. Our legendary property and staff is always on hand to take care of any detail for your special occasion. Whether you choose to walk down an aisle or down the shore, Tres Palmas provides the ideal backdrop for glorious celebrations. With nuptials offered on the beach or on our tropical property, Tres Palmas provides an enchanting setting for every wedding style. With everything contained within Tres Palmas 25 acre secluded rain forest property, it makes for magical memories, no matter the budget. With its secluded waterfront location, Tres Palmas is an unforgettable setting for a wedding, honeymoon or romantic escape. Our legendary property and staff is always on hand to take care of any detail for your special occasion. Whether you choose to walk down an aisle or down the shore, Tres Palmas provides the ideal backdrop for glorious celebrations. In general, a private ceremony of 20 people, is less money than most weddings of 70 people. This includes accommodations and airfare. Shouldn’t you consider Tres Palmas for your special day and create a memory shared by few. Talk to our staff about your special day and they can assist you in making all the arrangements. Imagine celebrating your special day in an exotic tropical setting, meeting your loved one on a white sandy beach or atop Tres Palmas overlooking the Pacific Ocean. We make all the arrangements to make you Tres Palmas wedding memorable. How many people do you know that start their new lives together like this. 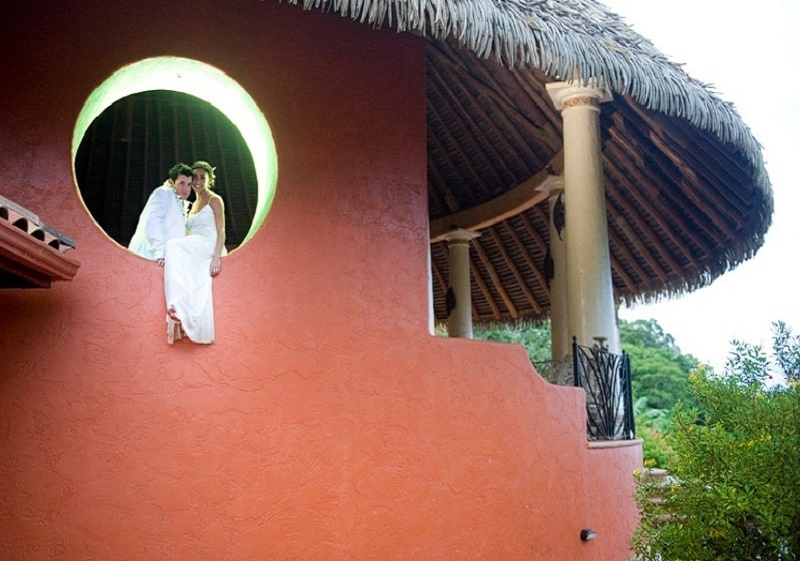 Your honeymoon begins right after your wedding and reception at Tres Palmas. This place is incredible. The staff is very professional. The food is outstanding. And the massage therapist is out of this world. 5 days was not enough. Very relaxing atmosphere thanks you guys. Our second time in Tres Palmas and it gets better every Time! Best vacation ever! Everyone deserves to experience this wonderful place to relax, and enjoy nature! Outstanding! Staff & food were amazing. Beautiful design and exudes the Costa Rican lifestyle. Been to Costa over 15x over the pass 2 decades. This was the best place I have ever stayed. The housekeepers were awesome ! The food is incredible the view the wildlife 10/10 !!!! Our stay at Tres Palmas was too short ..next time we will stay a week! The photos don't do this house justice..it is a stunner and the staff were wonderful. This was our 4th visit to the Matapalo area and by far the best. I have never seen so many toucans which are my favorite of all birds. Thank You Brad and George we had a wonderful stay. This place has a special piece of my heart. Not only is it beautifully designed and perfectly situated for a day or relaxing by the pool or adventures into the rainforest, followed up by the most amazing meals from Marvin and the family. I can not wait to go back!! It really is paradise on Earth!! Everything about this place was amazing. Just read the other reviews - I won't repeat it all here! The rooms, the staff, the wildlife - everything was better than described. We were a family of 12 from age 6 - 75 and everyone had a wonderful time!! My only concern is that you will rent it during the week we want to come back!